Philips has disabled the smart TV features from Blu-ray players, media players and home theatre systems without prior notice, the German website Heise reports. The decision is made by Gibson who acquired the rights to use the Philips brand name on audio and video equipment in 2014. Further research from us shows that some apps can still be used with a workaround. The affected devices are the 2010 to 2014 models of home theatre systems and Blu-ray and media players from Philips. The Dutch website Tweakers.net found a deleted (but cached) announcement of the removal of the smart TV functionality in which all affected models are listed. Smart TV features on the affected devices were disabled on the 29th of January this year. Since then users are presented with the message, “To complete Smart TV sign-in, please switch your TV set off and on again”. 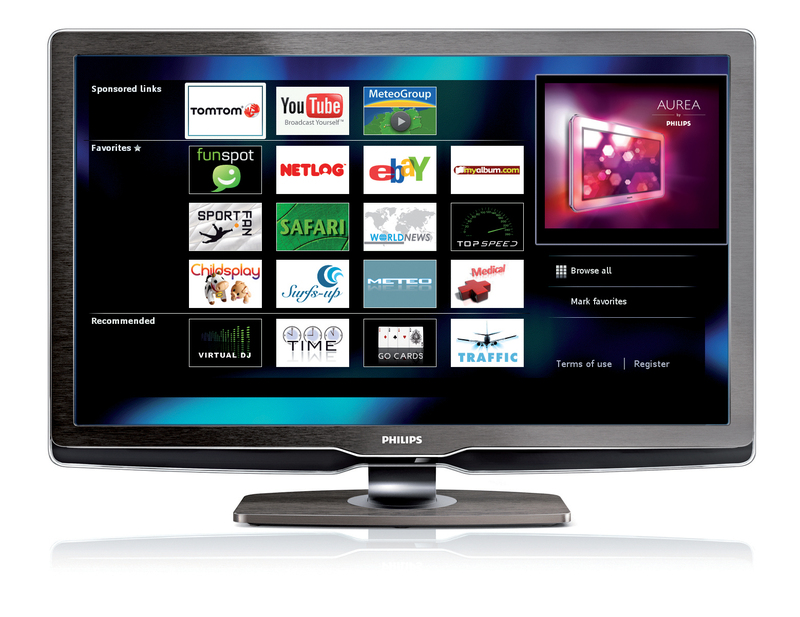 On some other Philips devices a blank or black screen appears when users click the ‘Net TV’ button, as the smart functionality on Philips devices is called. From a statement posted a Philips support employee we learn that, “only a limited number of apps is still available through http://www.hbbig.com“. This site is a portal for HbbTV (Hybrid Broadcast Broadband Television) that, when visited with a HbbTV enabled device, shows a list of apps. HbbTV can be considered an open standard to create an unified smart TV interface. Through this, it should be possible to access some of that apps that were previously available on Philips smart TV platform ‘Net TV’. The employee also posted more HbbTV sites that can be used by Philips device owners that are affected by Gibson’s decision. Also on HHTTV and Urju.de links to apps are available. Obviously users are very unhappy with Gibson’s decision to remove the smart TV functionality from the Philips devices. An user that mailed Philips with a complaint received a response stating that it was too much work to” maintain the devices on a good level in both terms of compatibility and performance capability”.